Wednesday, Nov 28, 2018, 4 – 5:30 p.m.
Taipei Economic and Culture Office. 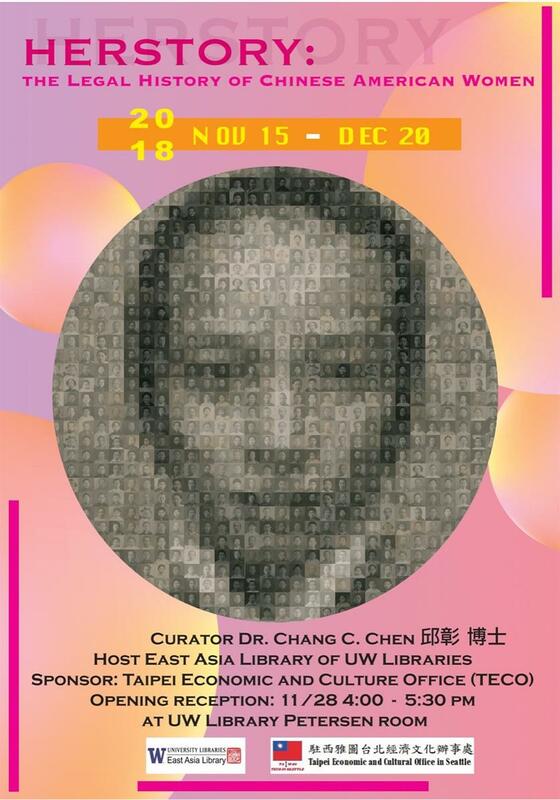 Join us for an Reception and Exhibition by Dr. Chang Chiu Chen titled “Herstory: Legal History of Chinese American Women” and sponsored by the Taipei Economic and Culture Office. Dr. Chiu will give a talk about the exhibition, and Director General Yao of TECO will speak at the reception. I hope you will be able to attend the event.